Utility companies don't have the fleet management luxuries of 5 days per week operations or regularly scheduled periods of planned weekly downtime for fleet wide maintenance. In the power business failure is simply not an option. As the energy provider for homeowners, health institutions, and data centers, (to name just a few) utility crews work 24/7/365 to ensure that a reliable power supply is always available to those who depend upon it for their livelihoods, and in some cases, their very lives. Energy consumption is evenly divided at 1/3 each among the commercial, residential, and industrial sectors which comprise a massive diversified customer base unseen in many other industries. Most challenging for utility fleet managers is the fact that peak fleet operations are frequently conducted in the most adverse conditions. Inclement weather brings with it downed transmission lines, blown transformers, and lightning strikes can occur anywhere in the widespread distribution infrastructure. Wind, heat, ice, and snow are the most common causes of power outages. Vehicles collide with utility poles. Even high power demand from a calm but oppressive heat wave can cause outages that keep utility crews on the move. Under all conditions, safety is a high priority for operations managers. Maintaining fleet vehicles which send personnel aloft for both planned and unplanned maintenance is a process which begins with a thorough and verifiable inspection procedure. No problem can be corrected until it is first detected. Traditionally, DVIRs (Daily Vehicle Inspection Reports) have provided this crucial first discovery, but with old-fashioned paper administrated practices, the DVIR inspection process often becomes more of a burden than a solution. At Whip Around, we have a better way. Imagine your utility company is in the midst of an ongoing battle with the weather. Crews are rotating around the clock. Fleet vehicles are in and out of the yard, and outage calls from customers all over your coverage territory are still coming in. Everyone is working the maximum allowable overtime and there really is no formal shift turnover to speak of as teams pitch in to restore the grid. Unfortunately, DOT compliance requirements aren't waived at such critical times for your utility company, but DVIR priorities for drivers may shift to the back burner as they hurry from job to job in emergency action mode. The old paper and clipboard checklist might be fudged or forgotten completely and vehicle equipment problems can be overlooked, leading to unplanned downtime at the worst time for operations managers. Often, even when inspections have been conducted in a forthright manner simple preventative maintenance which could prevent catastrophic equipment failure down the road isn't completed because mechanics haven't received the paper repair order in time. Paper-based fleet administration is the polar opposite of "dynamic". Vehicle downtime piles up, valuable personnel can't be deployed, and the remaining vehicles and crews are forced to pick up the slack at a time when fleet resources are already stressed. Now let's take a look at the same utility fleet facing the same emergency condition challenges with Whip Around. Drivers can forget about the pencil and clipboard DVIR. 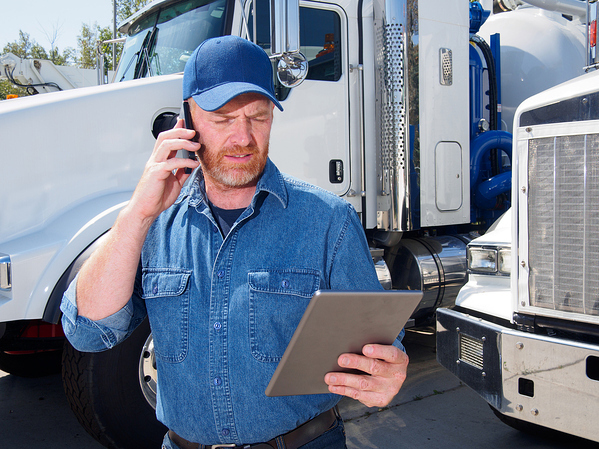 Everything they need to perform DOT compliant inspections is right there on their smartphone. Each driver has his own individual login so there's never any doubt about who performed the inspection, or when and where it took place. Fleet managers have instant access to faults discovered by their drivers and repairs can be prioritized and forwarded immediately to in-house mechanics for the quick turnaround that optimizes vehicle availability and fleet up-time. 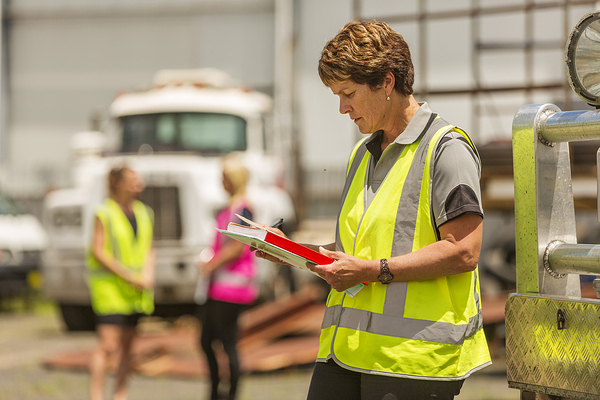 Fleet managers can create custom inspection forms with Whip Around to meet special conditions. In a severe ice storm, for example, windshield wiper inspections may need to be performed more frequently to prevent delays. Extremely low temperatures may require more frequent monitoring of hydraulic fluids and a minimum vehicle warm-up time. Whip Around lets operations managers convey all of these special checklist requirements to the drivers via their smartphones and it documents compliance with automated time, date, and location stamps. With Whip Around you control what vehicles are inspected and when. Drivers can comply and respond with photos and comments for dynamic real-time decision making. When faults are flagged work orders can be generated and routed directly to in-house mechanics, or externally for leased vehicles. Whip Around includes templates or you can easily duplicate your own familiar paper checklists into digital form. Field options include pass/fail and data entry cards. Whip Around's simple drag and drop functions let you change the card order. Whip Around connects the fleet's widely dispatched smartphones with the web-based management dashboard to ensure that managers have the timely and accurate information they need to see the big picture of real-time fleet operations at any given moment. Alerts can be sent to managers immediately when faults are discovered after an inspection. Automatic syncing between the management dashboard and driver smartphones provides the dynamic analytics fleet and operations managers need to keep the fleet rolling and the power on in the most challenging conditions. When drivers have the convenience of smartphone inspections available, mandatory DOT compliant inspections get done reliably. Whip Around can also be applied to monitor and track other critical utility fleet equipment to optimize safety. With the custom form builder, your individual fleet jobs can be converted to mobile-friendly checklists which are up and running in minutes in many cases. WA provides a digital database platform to document DOT and safety compliance. Time and location stamped digital documentation have exceptional value for leverage in liability cases. Utility companies are often perceived as having "deep pockets" in the minds of the general public. Being able to produce relevant safety and inspection documents on demand goes a long way toward keeping everyone honest. When you're ready to empower your utility fleet with the versatility of smartphone inspections for optimized fleet operations and vehicle availability don't hesitate to contact us.